The amount of calories we eat has jumped since the 1970s, and waistlines have grown accordingly. Americans should eat more fruits, vegetables, and whole grains, while cutting back on added sugars, sodium, and saturated fat, according to new dietary guidelines published by the federal government Thursday. The guidelines, which influence school lunch menus and federal nutrition policy, also recommend eating more seafood in place of other proteins like meat, poultry, and eggs. Our poor nutrition has contributed to a generations-long national weight gain. Today two-thirds of U.S. adults are overweight or obese. Half are afflicted with chronic conditions like diabetes or high blood pressure that can often be prevented with better diets. We didn't get this way overnight. 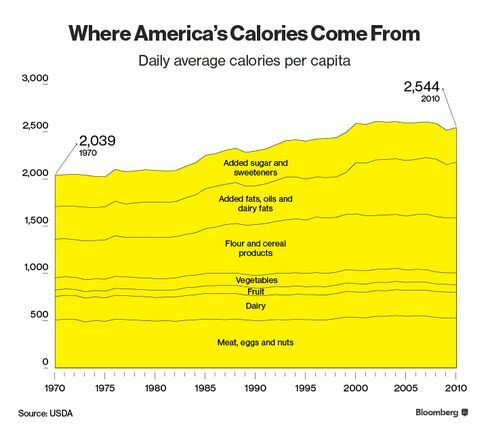 The average calories available1 to the average American increased 25 percent, to more than 2500, between 1970 and 2010, according to data from the U.S. Department of Agriculture. 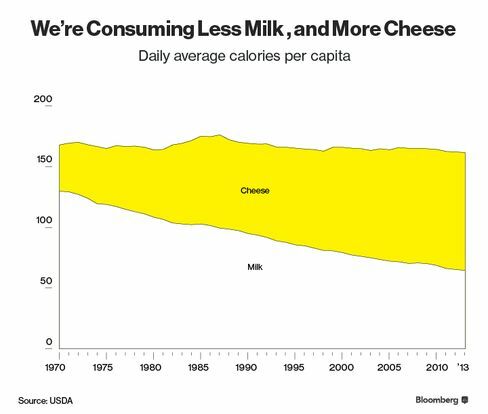 It's not like we added an extra meal to the day: Rather, an evolution in the type of foods we eat led to steady growth in calories. Added fats and grains account for a growing share of total caloric intake. 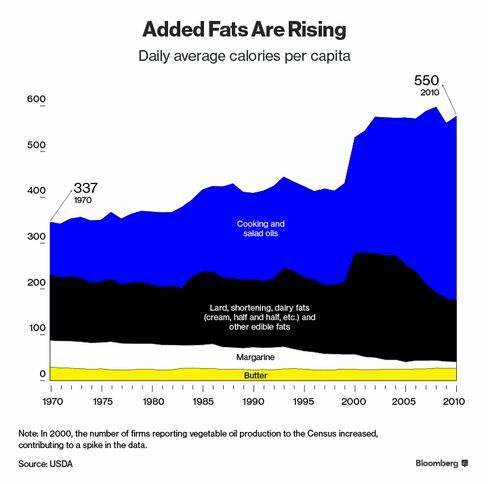 These two categories, which include oils and fats in processed foods and flour in cereals and breads, made up about 37 percent of our diet in 1970. By 2010, they were 46 percent—a larger share of the growing pie. A lot more fat goes into our foods. 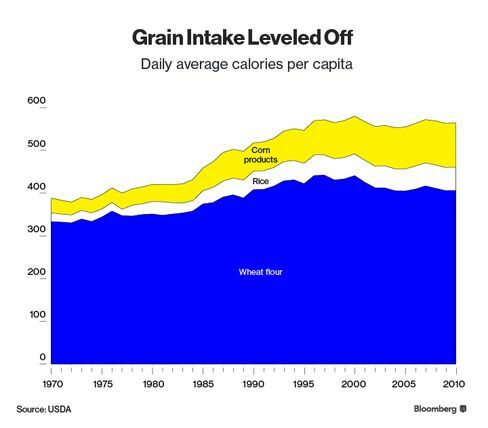 Calories from wheat, rice, and corn have increased. This includes refined grains like white bread that provide calories but are stripped of much of the nutrients in whole grains. 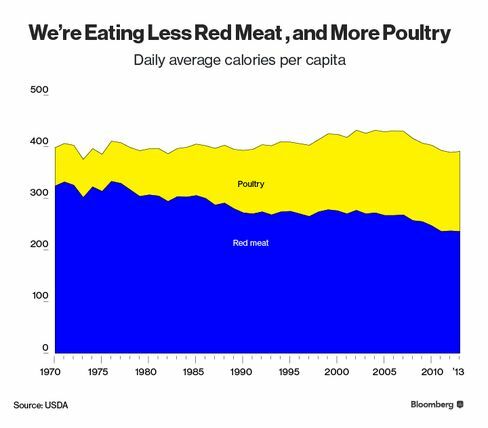 There are some indications that Americans are changing their diets to become healthier. For example, we're swapping red meat for chicken. 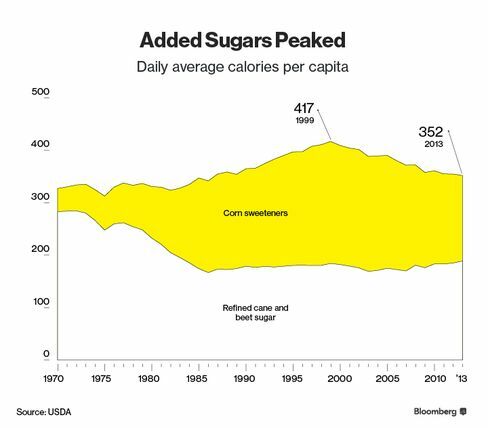 And though corn syrup boomed since the 1970s, the total amount of sweeteners we eat has declined. That's partly because Americans are drinking less soda. These positive changes haven't negated the overall increase in calories on our plates. 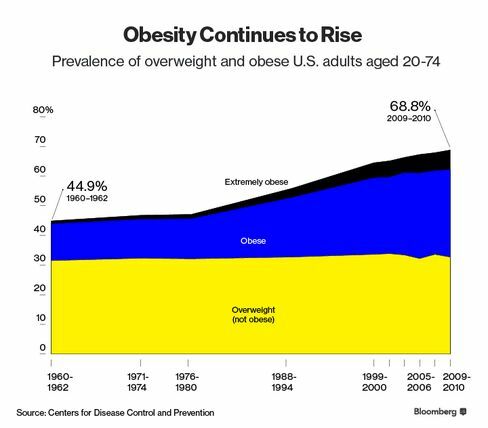 More than two-thirds of U.S. adults are overweight or obese, compared to less than half in the 1970s. The new dietary guidelines aim to reverse this pattern. "Trends in food intake over time show that, at the population level, Americans are not consuming healthy eating patterns," according to the new guidelines. "Almost all people in the United States could benefit from shifting choices to better support healthy eating patterns." While Americans have shown some signs of eating more healthfully, reversing the obesity epidemic will take more.